Plants need good soil conditions if they are to give the best results. As a professional gardeners we know how necessary this is and with the right products for your soil and a little time this makes all the difference. We offer help with border and planting beds preparation which is the key to creating just the right environment for your plants. If time is taken preparing the border this will give the plants a great start in life and this will show in the excellent growth of the plants. A little extra preparation will make the planting day a pleasure. Digging and forking through the soil allows you to loosen any compaction, helps drainage and aeration on heavy soils, remove weeds and debris and providing the perfect opportunity to add the organic matter conserving essential moisture on light soils. Beds and borders can quickly dry out or be taken over by weeds. 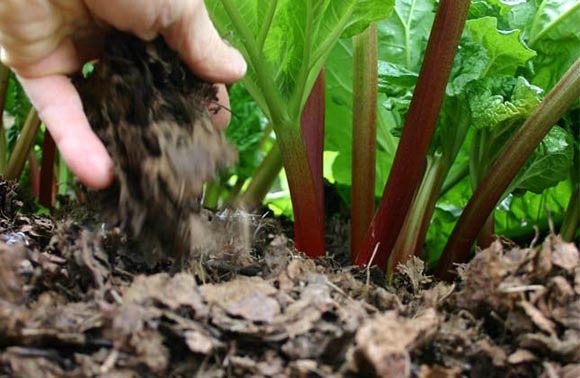 We recommend use of mulch across the soil surface which will bring several benefits to the garden. Luckily, adding mulch is one of the easiest gardening tasks which you can undertake. We are happy to supply you with best quality mulches, organic matters and composts as well as we can help to apply mulch around your garden. This is the task that we carry out for our customers during winter and early spring. Mulching helps a lot. It is ideal for tidying garden borders and flower beds after leave fall, helps reduce garden maintenance by suppressing weed growth, Helps conserve soil moisture during dry weather, reduce soil erosion during heavy rain, insulate plant root area from the weather either freezing or hot and protect the top area around the plants from drying out too fast as it will trap in moisture from wet weather and ensure beds don’t dry out quickly in the heat of summer. Finally fine material in mulch has soil conditioner properties and will feed the top soil as well as attracts worms to the soil.